Vibrant pinks and a yellow star grace this floriferous stunner. Add a pop of pink to your garden with these floriferous stunners! Like chorus girls at Moulin Rouge, these exuberant little dancers show off their vibrant petticoats of pink and yellow and reveal the yellow star pattern beneath. Extremely vigorous plants provide colorful, cascading accents in containers or hanging baskets. Flowering This refers to whether this product blooms or not. 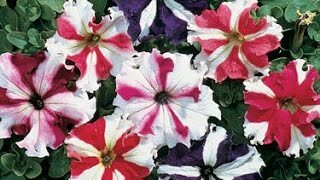 Calibrachoa may be started from seed sown early indoors and transplanted outside after frost, or from potted plants. Sow indoors 8 weeks before the last frost using a seed starting kit. Sow seeds thinly and barely press into seed starting formula as seeds benefit from light to germinate. Pelleted seed should be misted to dissolve the coating. Transplant hardened-off seedlings to the garden after all danger of the frost. Select a location in full sun to light shade with good rich moist organic soil. Calibrachoa prefer a pH of 5.5 to 6.0. Keep plants well-watered during the growing season, especially during dry spells. Plants need about 1 inch of rain per week during the growing season. Use a rain gauge to check to see if you need to add water. It's best to water with a drip or trickle system that delivers water at low pressure at the soil level. If you water with overhead sprinklers, water early in the day so the foliage has time to dry off before evening, to minimize disease problems. Keep the soil moist but not saturated. Do not over-water as calibrachoa plants are sensitive to wet soil. Cut scraggly calibrachoa plants back by half in late summer to spur growth and encourage new flowers. Calibrachoa makes beautiful edging plants and also can be combined with other summer-blooming annuals in mixed plantings. 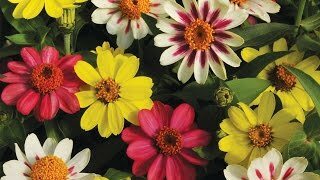 They are superb in containers of all sizes and types, either alone or combined with other flowers.